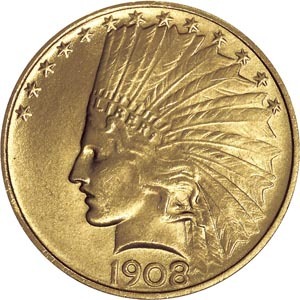 The $10 Indian Head Eagle is considered to be one of America's most exquisite gold coins. 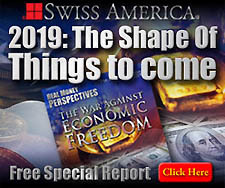 The new gold coins of 1907 were the result of the unprecendented collaboration of great sculptor Augustus Saint-Guadens and President Theodore Roosevelt. 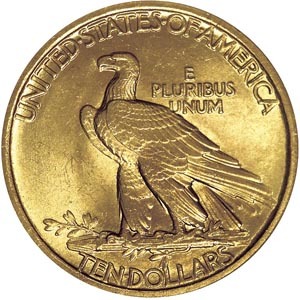 The bust of the new Eagle was almost identical to the Nike head (Victory) that Saint-Gaudens designed for Sherman's monument in New York's Central Park. At Roosevelt's insistence, she shed her laurel crown for a handsome Indian feathered war bonnet.